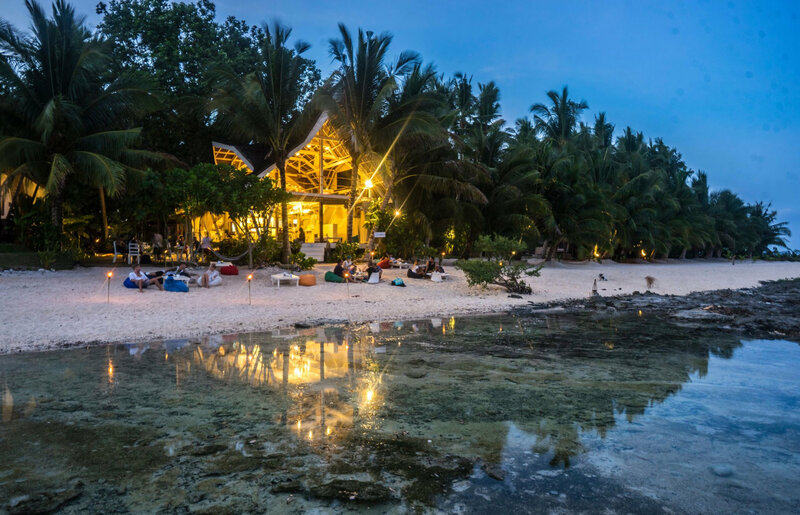 “How can you help me if you are no one?” – a quote from the exasperated owner of the White Banana Beach Club in the Philippines. The quote was in response to a message from a traveler wanting to stay at his resort for free in exchange for posting Instagram stories. The owner has received over 100 similar messages in less than a year since they opened their establishment. I thought this topic was particularly timely since our last post was focused on an emerging segment of influencers – gamers. We know that influencers provide a level of independent perspective that can have a material impact on sales. This effect has created a new income stream for product reviewers, celebrities, and other internet personalities but it begs the question, how can you quantify that influence? 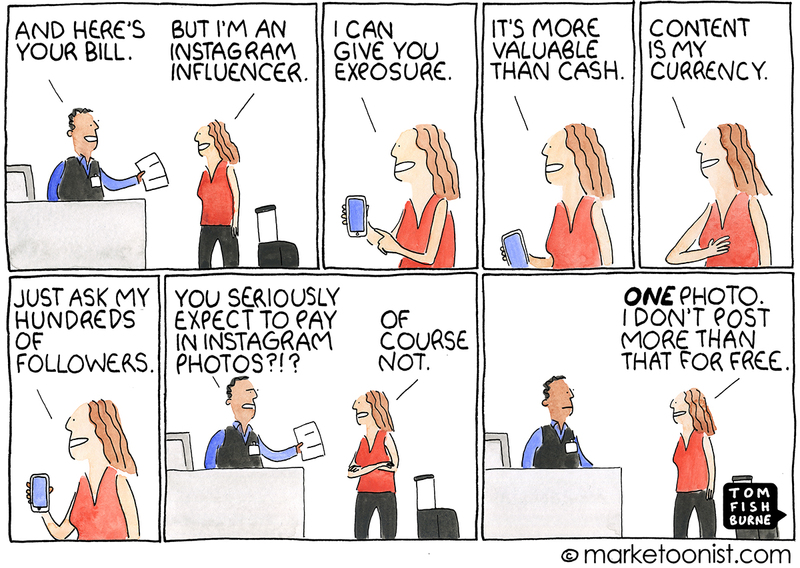 The New York Times Article, “No, Your Instagram ‘Influence’ Is Not as Good as Cash, Club Owner Says“, is an interesting read on the subject and presents a good topic for a class discussion. Just in case that wasn’t enough, this Marketoonist cartoon came out almost the same time as the article linked above and hits on the same pain point.